MENS BLACK LEATHER BIFOLD ZIPPERED BILLFOLD WALLET 793 - Dangerous Threads, Inc. Finest Quality, soft and elegant, Genuine Lambskin Leather; Sturdy construction. 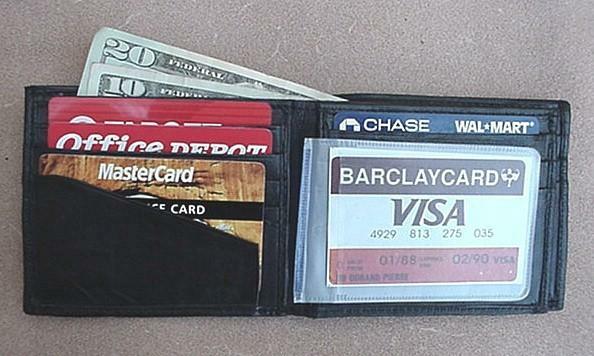 Bi-fold with interior leaf; 15 Credit Card slots, 4 of them angled for extra visibility; Two separated bill compartments, one fully zippered for extra security; Double Stitched Driver's License window on interior leaf; 3 picture sleeves; Underneath compartments behind credit cards for receipts, folded bills or whatever; Measures 4" x 3 1/2" x 1/2" empty. Color: Black.